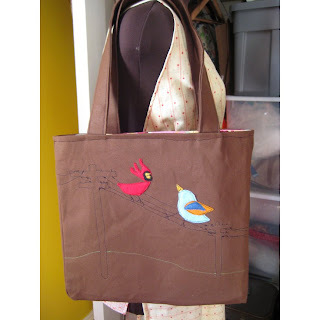 Jenny Jen42: New Line of Birdy Bird Totes! 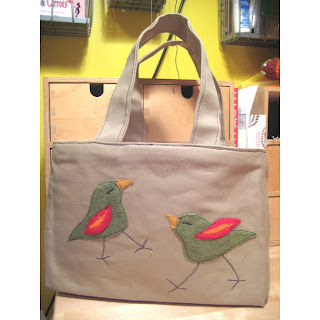 New Line of Birdy Bird Totes! 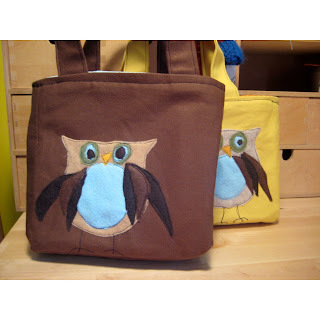 I've been getting ready for the spring and upcoming events...especially getting my totes in the Baltimore Magazine for the April issue! 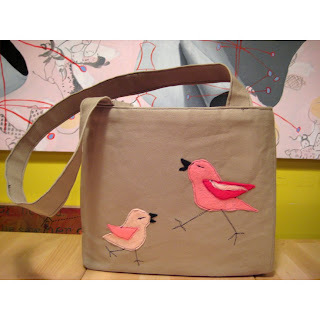 So I've been reflecting over what my customers have been telling me...wanting longer straps, continue the small totes for only carrying around the essentials, and keep up with the birds! I've been playing around with new colors. 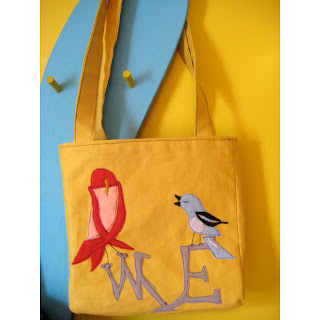 Yellow canvas! Still looking for other colors. Found a very bright orange but it feels too much like hunter orange..don't think that will be a selling point. I'd like to hear any other suggestions..if you have a jennyjen bag, I'd love to hear form you and how it is holding up...with any other suggestions for improvement! 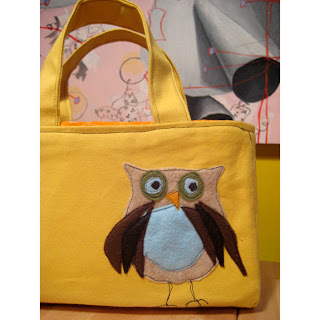 Mr owl looks like he is fluffin' his feathers!